These days, building an app is almost like child’s play, but the challenge lies in building and maintaining loyal and engaged users. 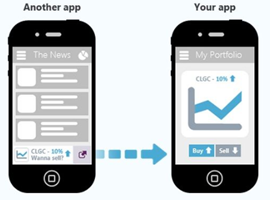 The ultimate goal of most mobile apps is to achieve the optimum of customer satisfaction in order to obtain rich ROIs. In today’s high-profile tech world, the consumers are instinctively looking for smartphone apps that will give them information on the go and look ravishingly sleek in design. Mobile app design plays a very important role in user engagement and retention as it is the first line of interaction between the mobile app and the users, and it is vital to every mobile app marketing strategy. How do you increase User Engagement in your app? With deep linking you can give existing user what they need and send them back into the app, but more importantly, you can get more users by engaging them with a great experience. Deep linking can also be used to direct inactive users to specific content to encourage usage, rather than the generic home screen. For example, you may re-engage a user by sending them a push notification that links to an exclusive deal, a new feature, or something else that will incentivize them to engage with the app again. Google indexes mobile app deep links, meaning that app content can show up in search engine results pages as a website would. This increases the chances of new users finding your app through search. To make the experience as seamless as possible, you want to ensure that deep links take users directly to the content without any logins required or interstitial pages displaying. But note, that if you fail to plan how deep linking structure will work in relation to the architecture and logic of your app, it will result in a poor user experience. Apps that go quiet for long periods of time can be forgotten about and eventually deleted. That doesn’t mean you should SPAM users, but you should think about relevant push notifications that draw them back into your app. Push notifications can keep your application users updated about any new message or event. This way you can keep interacting with them and also can get back the aloof users. You can try having push notifications in form of text, image, videos, and any external link that will redirect them to a specially planned page. The latter largely depends on the kind of users you have for your mobile application. 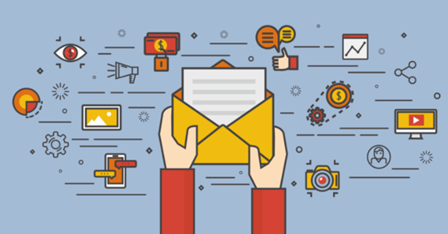 You have a captive audience in your email list. Chances are, when you first released your app, you heavily promoted it via your email database. If that was months ago, consider releasing another newsletter about your app. To start building a mobile app re-engagement strategy via email, you can use a general email marketing tool like Mailchimp, which is effective and free for start-ups to use. Meanwhile, more advanced email tools will allow you to automatically email users who haven’t interacted with your product in a number of days, re-engage users according to their geolocation and interests, and carry out many other high-level tactics that can seriously increase your retention. Today, social media marketing is a necessity, so it’s likely you already have business accounts on Facebook, Twitter and LinkedIn. While these three are huge players in the world of social media, adding other platforms to the mix could be helpful for introducing your app to new audiences. Take Instagram, Snapchat, Pinterest and even YouTube, for example. 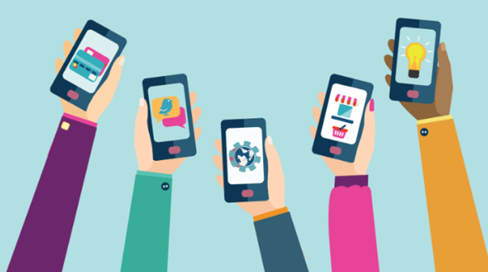 These platforms are heavier on visuals, making them an ideal place to promote your app. By posting across platforms (posting a YouTube video link on Twitter or sharing your Instagram image on Facebook), you can get entirely new portions of your audience curious about your app. Building a social media presence is an amazing opportunity to re-engage your users organically, as long as you maintain profiles across multiple social networks. Go where your users spend most of their time, and begin building your brand’s presence on each of those platforms. Neglecting to update the application on a consistent basis is typically something that makes users leave looking for different alternatives fairly soon. Updates featured in application stores convey to your clients that you’re focused on your application, and users who have installed your app may get prompted to open it again when they see it is up to date. In order to make your users interact on a more personal level and remain committed to your app, you may try creating a community. Allow users to share their experience. In fact, what better way to market your app than actual customers vouching for it? Such activities will greatly enhance user engagement levels and will improve their brand loyalty manifold. User engagement and retention are thus as important, if not more important, as acquiring new users. Keeping these 6 steps in mind when you design the app experience will help you transform new users to committed long-time ones and thereby (hopefully) produce more revenue. 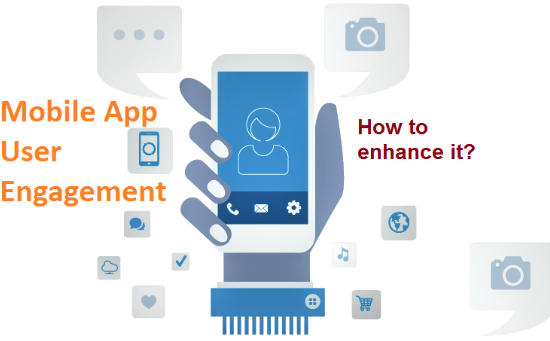 To keep your users engaged in your app, you need to constantly review the points above as you are improving your app experience and building your app business.